Which came first? The addict or the addictive drug? That’s the heart of the debate between journalists, researchers and clinicians over the extent of the country’s prescription painkiller problem and the remedies to address it. This month, I posted two parts to an interview with addiction expert Dr. Andrew Kolodny. Szalavitz responded immediately with a link to a Cochrane review of opioid treatment studies published in 2010. I’m going to write about this review and then follow up with a look at some of Kolodny’s evidence in a later post. At first glance, this review seemed pretty definitive. Even the title sounded all inclusive: “Long-term opioid management for chronic noncancer pain.” What’s stunning about this review, though, is how little it actually contains, and this is more of a commentary on the state of the science around painkiller addiction than it is on the Cochrane’s review process. Nobody actually knows the exact rate of new onset addiction when opioids are prescribed long-term for chronic pain, so most experts provide a large range when estimating the risk. For example, the National Institute on Drug Abuse estimates the risk of addiction with long-term opioid treatment as ranging from 3% to 40%. A look at the Cochrane evidence shows why. First, what do the authors mean by “long-term”? They defined it as taking opioids for “at least six months.” That’s very standard for studies aimed at gaining FDA approval for any drug, but it’s not very long when trying to determine whether a drug turns people into addicts. Of the 26 studies, only four looked at the use of strong opioids over a period of more than one year and, of those, only one stretched even to the two-year mark. For the sake of argument, let’s look at how many patients were examined over the one-year to two-year periods. Dr. Sanford Roth and colleagues in 2000 published a paper covering 133 patients. Dr. Laurie Allan and colleagues in 2005 published a paper covering 680 patients. That same year, Dr. Harris McIlwain and colleagues published a paper covering 153 patients. Finally, in 2007, Dr. Russell K. Portenoy and colleagues published a paper covering 233 patients. That’s a grand total of 1,201 patients studied for one to two years. And who funded these studies? Both Roth’s study and Portenoy’s study were funded by Purdue Pharma, maker of OxyContin. Allan’s study was funded by Janssen Pharmaceutica, maker of Duragesic. McIlwain’s study was funded by Endo Pharmaceuticals, maker of Opana ER. So, in sum, no studies reviewed by Cochrane looked at pain management for more than two years. No studies by themselves covered more than 1,000 patients. And no studies were independent from the manufacturers making the painkillers being studied. In addition, none of these studies were structured to look at addiction itself. They were studies focused on whether the drugs were effective. Most of what we know about addiction to painkillers – and other drugs – comes from studies in animals, which is largely the result of how tricky it can be to set up a trial to determine whether a drug is addictive in humans. Institutional review boards don’t look kindly on studies where people are giving a drug in large doses that already is known to have damaging effects – like addiction – in mice. With that in mind, what did the Cochrane review find in regard to addiction? Concern that an individual with [chronic non-cancer pain] may develop dependence on the drug during long-term administration represents a potential barrier to treatment. However, the rate of observed signs of opioid addiction was extremely low in the body of evidence considered in this review (0.27%, conservatively). This rate would be 0.14% if no addictive behaviors occurred among the studies that did not mention addiction rates at all. Only three participants were reported as having potential abuse problems. These numbers do not support the contention that potential iatrogenic opioid addiction should limit therapy for well-selected and well-supervised patients. But there’s a caveat here, too. Cochrane looked closely at the studies and found that the studies themselves only included people with no prior history of addiction. The reality is that most opioid addicts do not start in pain treatment, and most pain patients never get addicted. No one has produced any data that shows otherwise. Because most studies screened out potential participants with histories of substance abuse or addiction, the rates of addiction reported in these studies are only generalizable to patients without a history of addictive/abusive behaviors. This finding is consistent with that of another review article on opioid abuse and addiction that calculated an abuse/addiction rate of 0.19% in studies that prescreened chronic pain patients for long-term opioid use or addiction/abuse history, and 3.27% in all studies (Fishbain 2008). This review does give the appearance of being the “gold standard,” as Szalavitz stated on Twitter. And it supports her claim that fewer than 1% of patients without addiction histories became addicted while using painkillers from one year to two years. What it does not do is present evidence independent of the pharmaceutical industry, nor does it show the truly long term health impacts – addiction or otherwise – from painkiller use. Given the complexity of definitively diagnosing opioid addiction (see Ballantyne 2006) and in the interest of capturing the overall effect of opioid therapy on quality of life, we sought to analyze health-related quality-of-life outcomes in this review. However, findings on quality of life were inconclusive for all modes of administration. If the drug doesn’t improve your quality of life, then why are you taking it? 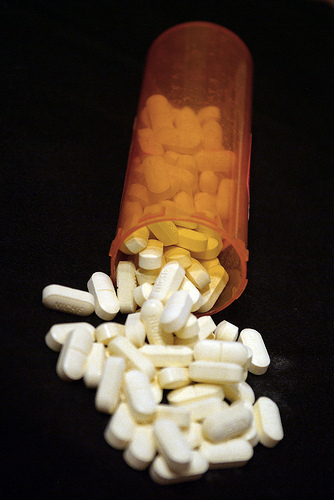 What Are the True Addiction Risks of Pain Medicine? I take the medication Effexor - venlafaxine - for depression and have for some time. If I run out of Effexor, within 24 hours I am feeling very poorly, dizzy, irritable, etc. Yet this is not called 'addiction' or even dependency. Oddly enough, it is called a 'side effect' even though it only occurs when a patient is NOT taking the medication. So the question in my mind is not just whether or not withdrawal from opioids occurs. It is also whether the 'withdrawal' symptoms for opioids are due to its addictive nature, or whether they are simply of the sort which occurs with drugs like venlafaxine, many SSRIs and a host of other psychoactive substances. The SNRI class of anti-depressants has some of the worst withdrawal symptoms, and many users report great difficulty when trying to stop taking them. Patients are NEVER warned about this incorrectly labeled (as Bruce K points out above) "side effect", and it was a harsh surprise to me when I ran out of money to buy this expensive "safe" drug (much more expensive than opiates). I became desperate enough to reduce other spending so that I could continue to afford it. This is considered a typical addictive behavior. Though I've been able to dramatically reduce my opiate dosage at times, it was impossible for me to stop taking Effexor (the SNRI in question) due to incapacitating dizziness, nausea, and electric "zaps" up the back of my neck. Luckily, no one is trying to legislate a ban on these drugs so I'm not too worried. Doctors aren't much concerned about the drug-dependence that ALWAYS develops on SNRIs, because it is correctly not considered addiction. So then why is same tolerance and dependence we develop on opiates seized upon as evidence of addiction?